AMEND (CALIFORNIA) VERSUS ‘ROJO MERLOT’ from Montana Colors on Vimeo. NIRO, SLAP & LIGISD (SWEDEN) VERSUS ‘VERDE UFO’ (UFO GREEN) from Montana Colors on Vimeo. Das folgende Video ist gezeichnet von by Fat Heat and Mr. Zero (Ungarn). 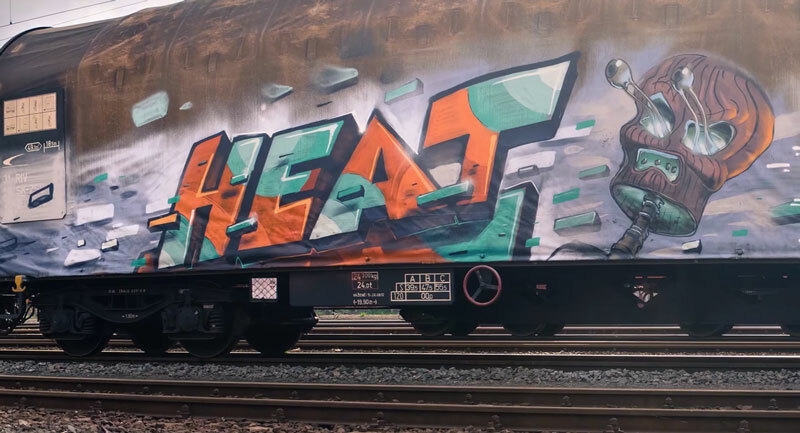 Freight Fun from Fat Heat on Vimeo.